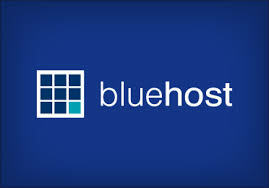 I woke up this morning to complete some of my online task and feed contents to my blogs but kind of observed something not usual with Bluehost, my websites were not opening. Checked my mail to see if there was any message from them, but found none. So i attempted to launch a live chat with their customer care/technical support team but got the notification that one of the biggest hosting platforms in the world was currently experiencing network issue. I run a monthly renewal system on their wordpress hosting package, i must confess,these guys have been wonderful so far. - Send a mail whenever there is an issue like this. - Maybe give an SMS alert. Sometimes issues like these are inevitable but i still consider them my best option. I hope their customer care sees this and respone to my request though. Are they safe to host with? My dear, with what i have experience so far, they are too safe to host with. Responsive customer unit and amazing services. I believe they should be back in few minutes or hours. yes most of the users have reported the same issues.